For a self proclaimed stationery addict, the National stationery show is one stop destination to get an all time high on glittering new product lines from the very best of the best in the industry. NSS has been showcasing paper and paper related products for over 70 years. It provides a perfect launchpad for new products from well established paper businesses and gives a cheery high five to new businesses that display fresh talent. This year added yet another excellent chapter to the previous years display. The atmosphere was abuzz with creative people and their lovely creations. 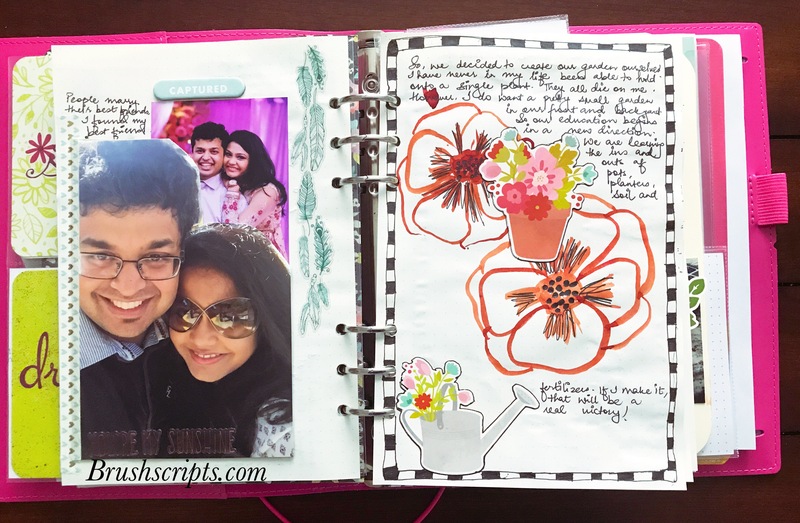 Customization is the key to win the hearts of planner lovers and it came in all forms. From monograming Leather TNs, tags, spiral notebooks to creating personalized stamps for businesses or just to add an extra touch to your daily art inspired life. What is consistent every year is the fact that even the small businesses get an excellent exposure. American Crafts brought with them the amazing Kelly Roberts who did calligraphy for anyone who stopped by. Who can ever get bored of florals; that too, painted in gouache, watercolor and acrylics? A surprise that I particularly loved was Ted Baker launching their very own stationery line in their statement blush pink and rose gold. A bit of a fan moment for me at the Kikki K booth where I got to meet Kristina Karlson. There was never ending fun at the stationery show. These were but a small glimpse of what happened in 3 days at Jarvits Centre, New York City, May 20-23, 2018. If you would like to know more in depth about the product line ups that stole the show then please do subscribe to my blog and await the next installment in this series. Some people wait for summer, some wait for spring, yet others wait for fashion week, but I wait for Stationery week!!!! DRUM ROLL…… okay! So what is stationery week? 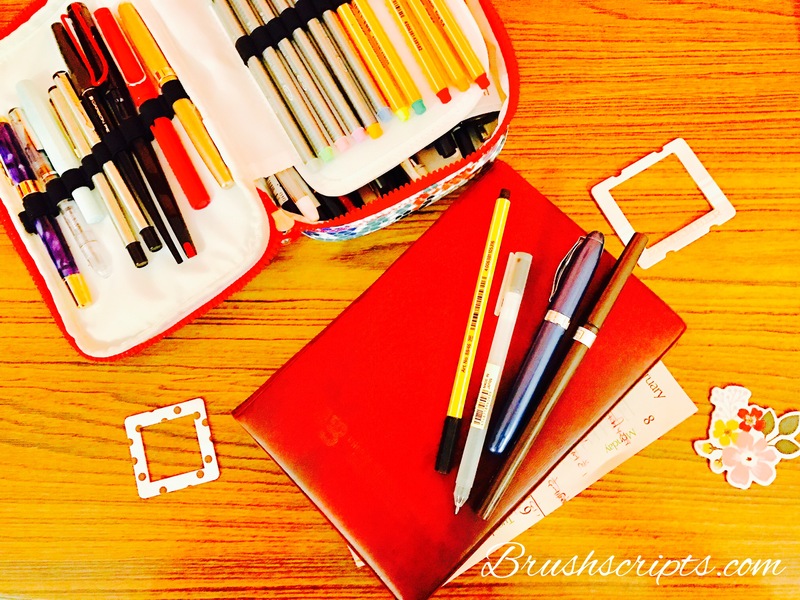 Why have a week dedicated to stationery? What does it mean? 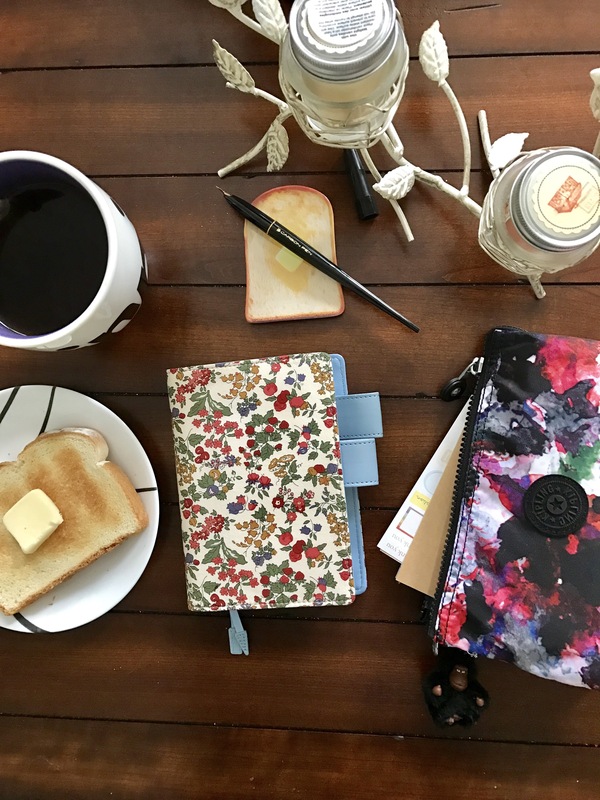 A few great like minded people realized the importance of the dying art of writing, love for everything that sits on the desk, and generally all the lovely goodie that go together and form the gorgeous world of stationery. They figured if there is a whole week dedicated to just stationery, people would be motivated to talk more about it and actually rekindle the art. And thus the #natstatweek was born. I hope you are as excited for the week as i am and will follow along in this week about everything stationery. If you wish to join in on all the fun, then please use all the hashtags to spread the love as much as you can. The National Stationery Show is coming up soon to so watch for the details in the coming week. First a trick question! 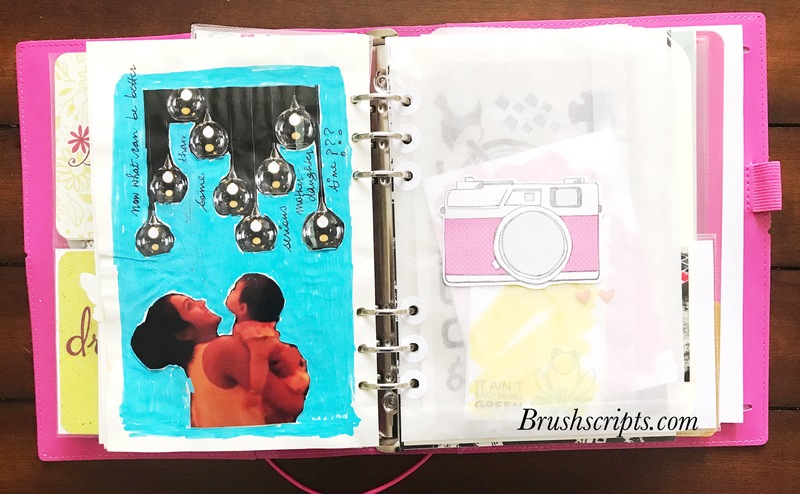 What do you find in the bag of a serial journal keeper and scrapbooker who believes in holding onto every memory possible? Let me tell you; you, find various dirty restaurant tissues, ticket stubs (from almost two years ago) and many half eaten biscuits in your beautiful Neverfull(Louis Vuitton’s gift to mothers if I may say so)! Be very thankful, I did not decide to upload that picture right here. It was not pretty! Now let me also tell you this fact; it is offensive, to question these people about their bizarre love for memories. 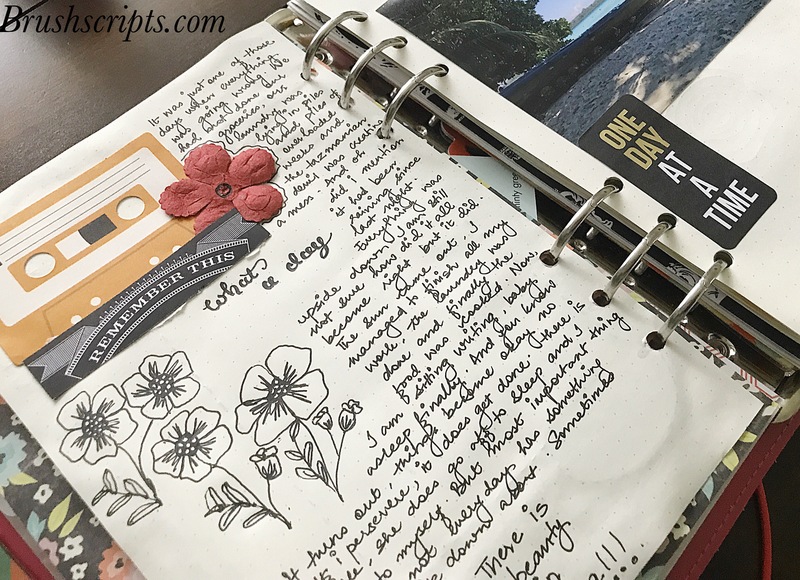 We hoard absolutely everything…every wrapper, every receipt and every plane ticket stub (even when their inks disappears) is stuffed very carefully somewhere in back of a drawer waiting to be stuck down in one journal or the other. What is even more offensive is to go to these very people’s houses and wonder why on earth do they store all their old journals? Especially when the very people in question crib about no space in the house. I know I do… all the time! 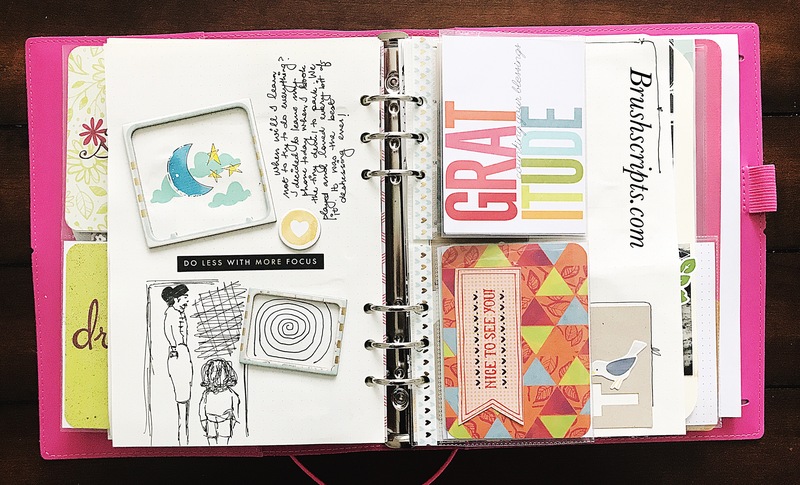 So you can imagine how thankful I was to discover the new rising craze for planner binders. 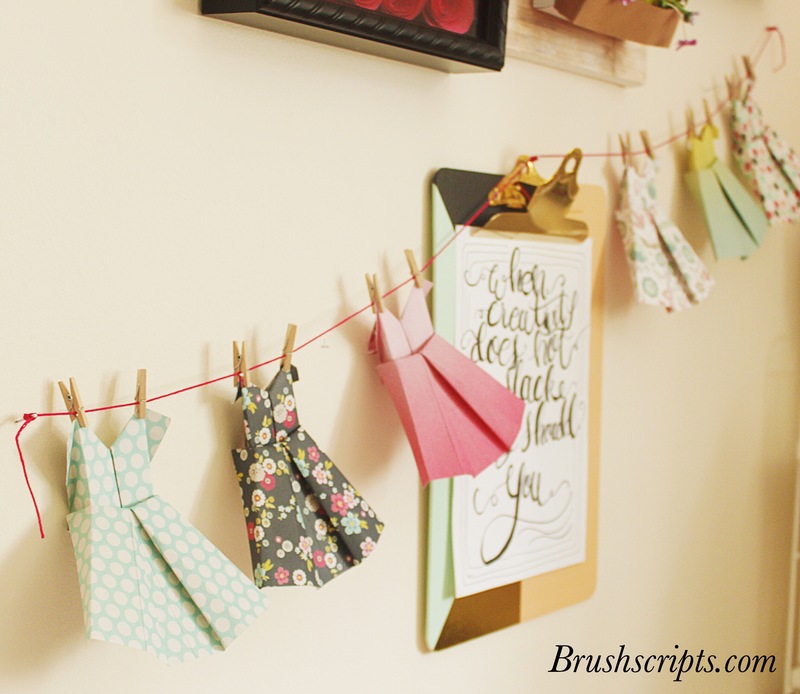 Planners are not new, they have been around for decades, but recently, the stationery addicts have added this very boring, mainly work related stationery item to the welcoming world of crafting. The planners are no longer solemn and prosaic but very alluring and much loved. They come in all colors and sizes; courtesy kikki k and Filofax and Erin Conderin. 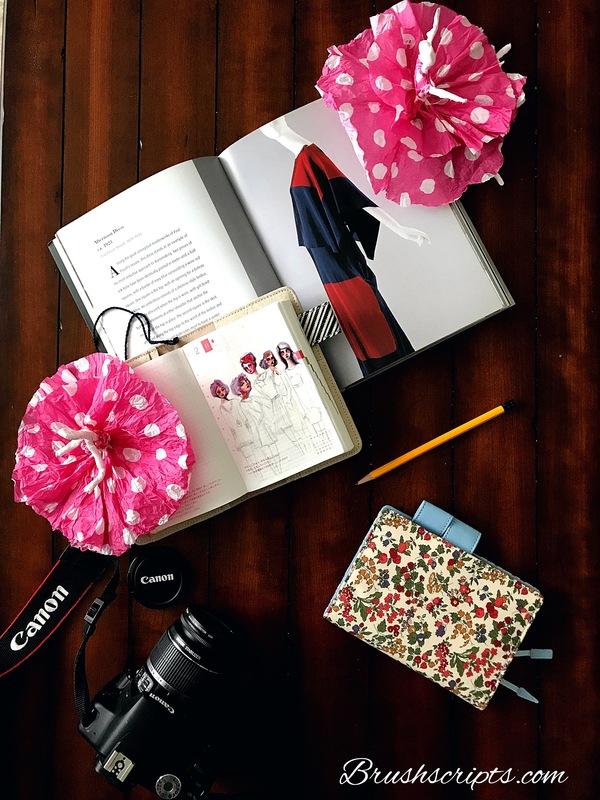 Now with Etsy and market booming with practically every paper company producing planner binders and accessories the possibilities of customization have become endless. I love ring binders above all. They serve the primary purpose of planners and after that the world is your oyster! 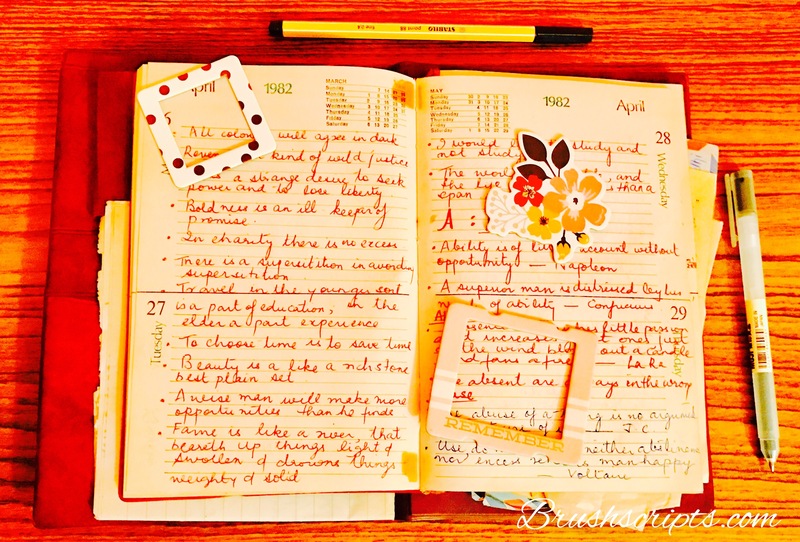 Sticking down photos, journal cards, drawing a bit here and then there is also the purpose of planning your days ahead. Not a long time ago, I had a lot of journals, diaries, notebooks to serve a different purpose. However, off late I have begun to feel the need to combine it all in one binder, my planner binder. Its just more convenient, rather than reaching out to three or four different books for different requirements. Of course it has its planning purposes, for my blog projects and work and appointments. I have, purposefully started using it as a memory keeper too. As understanding as the flat lay notebooks are for writing and drawing they become rather unaccommodating when it comes to stuffing them silly with tip ins and memorabilia and especially chipboard stickers. while using a similar notebook I was on the verge of blocking the word “chipboard sticker” from my keyboarding order for me to stop buying them. with the ring binders you can simply pop pages in and out with dexterity of a mastermind villain! I know I do. It would be no surprise if I sing praises of a ring based binder when it comes to stickers especially the chipboard variety. Allow me to open my planner set up for you. I have multiple binders simply because I love switching the colors and configuration with each month. I am showing you the binder for the month of April. I used Filofax domino patent a5 for that particular month when there is more memory keeping than planning is required. No need to get it dirty right? The secretarial pockets are useful to stuff them with the extra stickers, post it, tabs, and most important the watercolor card. I usually keep weekly and daily planning together for the ease of reach. Here are some inserts from cocoa daisy. I use them very minimally and restrict the information to just the basics. 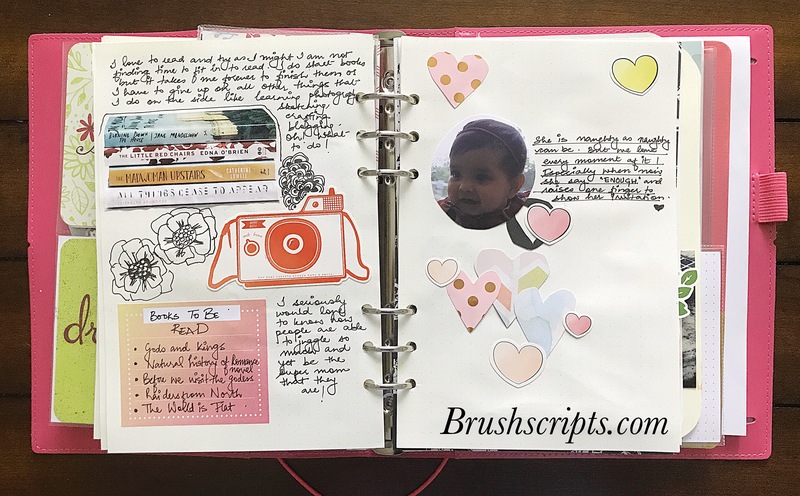 Now you can see, how I, combine my scrapbooking, memory keeping aspect into the planner pages. What I love about this set up is the fact that the planner does not gain bulk at all. At the end of each month, I simply swoop the pages out and store them easily incase I want to go back to them later. Hope you enjoyed going through my planner today. Happy scrapbooking day everyone! 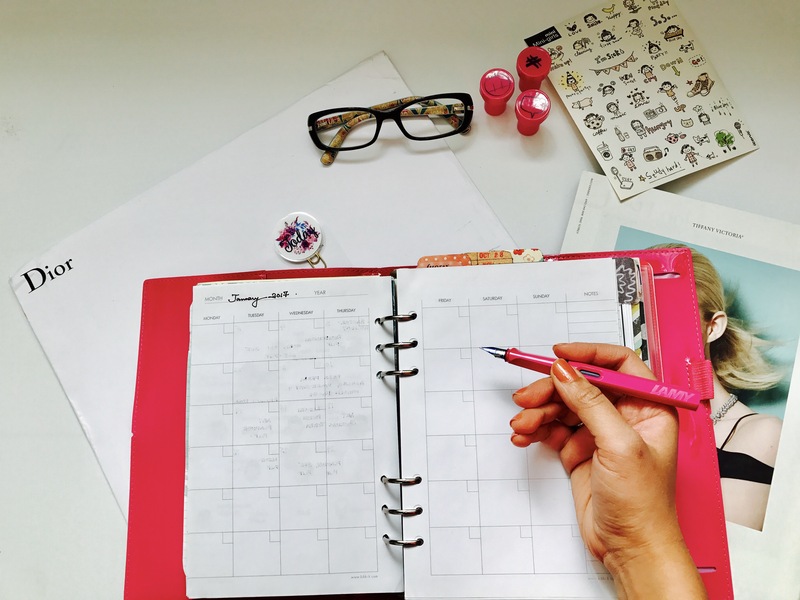 How do you set up your planners? 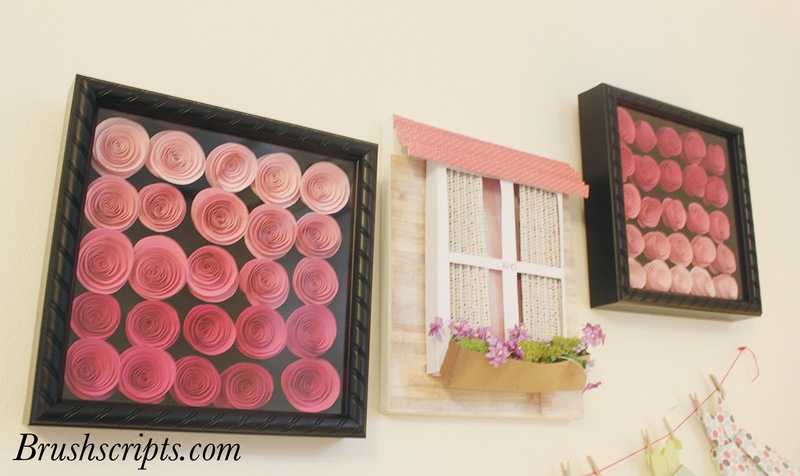 Do you like to store scraps like I do? I would love to know what is your system of memory keeping. Please leave a comment below. This story has a disclaimer. 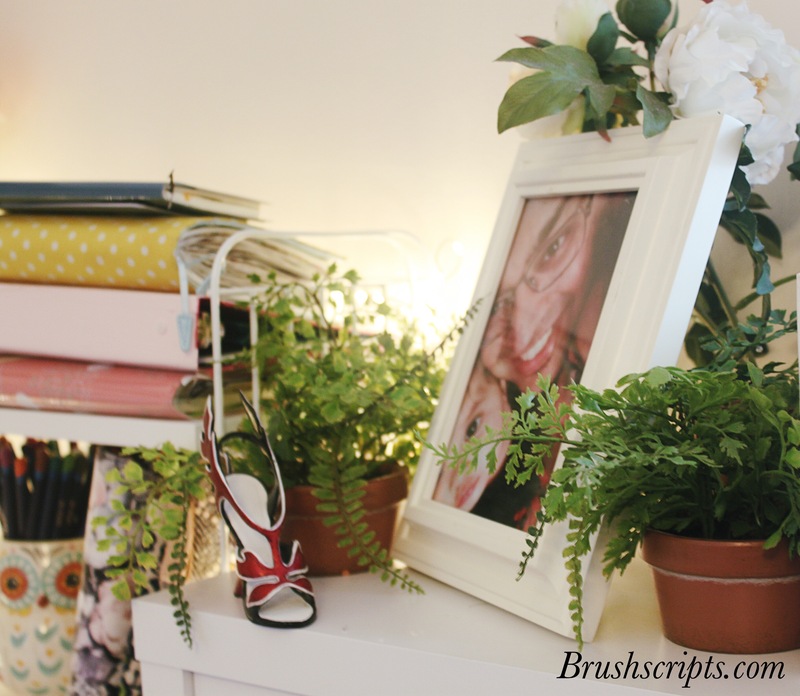 It is not for the fainthearted people who believe in keeping their desks pristine clean and work in an organized manner. They should just stay away from the sheer burden of the words to follow! For the rest of us, this modern love story begins like any other with a happily ever after. 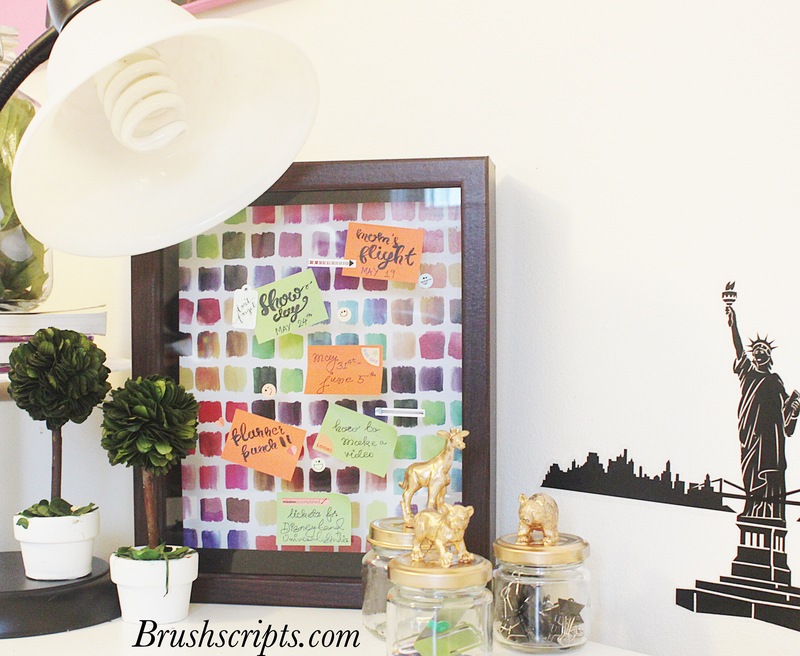 The day my desk was moved into my corner of the study, I fell in love and I knew it would be happily ever after for us. Unfortunately, that was also the last time I saw the gleaming white top. Very soon, it was submerged under the weight of notebooks, journals, paints, magazines, tools and everything that followed thereafter. I almost forgot, what it looked like till one day thunder struck! Well, not so much thunder, but my tiny Tasmanian Devil got into the study and to my dismay was intent on pulling out this one piece of pink paper which delicately balanced the entire theatrics of my deskware! Alas, the London bridge was not so sturdy infront of my infants’ intent ( Edgar Allen Poe would be so proud of my new found love of alterations) ! Anyhow, after that one pause in my continuity of time, which resembled more like Sisyphus on top of the mountain ready to tumble down, I sat and looked at the mess all around me, wondering if it was even possible to acquire more pieces than could actually fit in a jigsaw puzzle? . Oh well! look at the bright side, dear me, I found my lost paint brush! Who knew I still had it! The path was clear infront of me, I had to embark on my herculean task! It could not be a bigger war than the one Paris and Menalus fought for their lady love in the mythical land of troy. So, if that face could launch a thousand ships, so could mine, perhaps maybe just thoughtful ships to begin with. Exactly three excruciating days later, the desk looked human again! I decided to add a few knick knacks on the way. There is no point wasting all that paper. Its such a wonder, how precious things look when they are set to perfection? I believe its not the way things are kept but the way they are cared for that really bring out the real beauty. And perhaps the few extras can remain under the desk for now! Hope you enjoyed my trials and tribulation with the beloved desk and will join me again for a rendezvous with the artists and their paintings. As a couple, my husband and I love exploring each other’s interests and hobbies. So these days he is teaching me Aperture, Shutter speed and ISOs ( it sure sounded more complicated than it turned out to be) and in return he learns all about Tomeo River Paper and the fascinating world of Hobonichi. In case you, like my darling husband are new to Hobonichi too, it is a Japanese planner with the most delicious paper on earth! 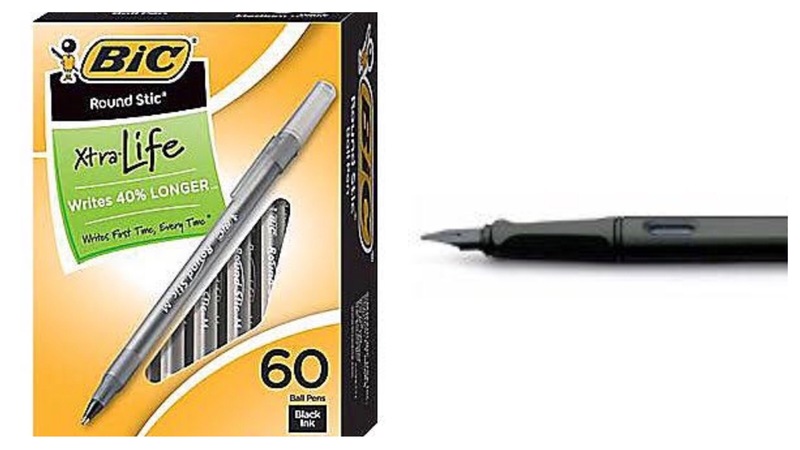 And if you haven’t tried it just yet; wait till your pen glides across the Tomeo River paper and trust me when I say this…your life will not be the same again! To learn more about Hobonichi you can visit the site here. Now, why am I telling you all this? Well, apart from all the whimsical digression on Hobonichi and Tomeo River Paper, all of the happy learning coincided with a home assignment practice shoot and #national stationery week. But instead of learning the tricks and tips of either of the promised vocations, we slipped into our best kept skins aka. the photographer, his muse and the faithful Hobonichi by her side. And since today is the official start date of stationery week, I thought it might be a more interesting to show you our Hobonichi photo shoot rather than prose on and on about some amazing pen or how to get your handwriting right! Which I plan to do, eventually, in the coming days of course. For now, enjoy our spring fling! This was where the photo shoot actually veered in a completely different direction! Suddenly instead of taking pictures, I was posing with my heels and of course I had to get my two fairy princesses on the side. Sometimes I don’t even realize when he takes a shot. This is most definitely one of those instances where it seemed like a procrastinated shot. Now for some actual front posing. 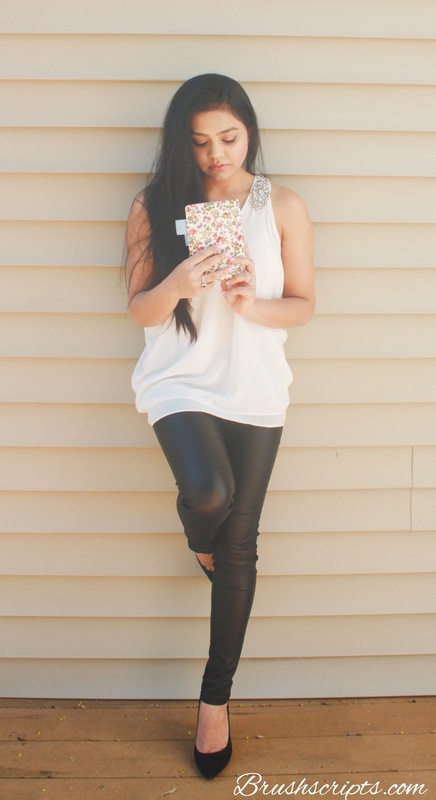 See how I hold onto my precious hobonichi. Maybe I should carry it once to a party as a purse. That will spice things up! Nothing! and I mean nothing will stop me from twirling in the lush green grass in our backyard. I am not sure what I was doing in this particular one! Must be one of those times when I don’t realize what he is doing. It becomes so hot, even the muse needs some shade! I hope you enjoyed the day out with us. And with join me again tomorrow for a quick and easy way of creating your own sketchbook and filling it it up with even easier steps. What could be a bigger irony then writing about handwriting day and typing it on your keyboard! I invite you all to explore this very special day with me. There are many who will tell you handwriting is extinct or needs revival. In a manner of speaking it is true, convenient tools exist for those who are not very confident of their handwriting styles. Then there are those who prefer to see their scribbles and scrawl over blank and filled pages alike. I am in latter category. I make lists just to be able to use different pens and practice writing. While cleaning my childhood room closet yesterday( I am spending blissful and divine days filled with delicious food and doing nothing at my parents house…vacations are amazing) I came across my mother’s diary buried under piles of wrapping paper. That turned out to be a treasure trove. She wrote quite prodigiously back in the day. Just seeing the old pages with her beautiful handwriting made me wonder why she stopped. The answer was obvious and rather sad. When I entered her world; between her job and looking after her home and baby it was just impossible to find time! Wasn’t that why I stopped writing too? As soon as my Tasmanian devil arrived it has been a feat no less than a giant’s feast to simply put down a few hundred words a day. Taking out my old notebooks was fun too. My notebooks were less than journals but more of note making for the many courses I had taken over the years. There were copious information about fabrics and functions and properties. There were essays on Agmenon’s Herald and Pinker’s Symantics. My life ions ago was flashing before me. There was nothing particularly special about these notebooks. They had started to rot with age. But just moving my hand over pages in my mother’s diary made me feel connected to her younger self. I found out a little more about her through her crosses and rewrites. That is how handwriting transcends time and place and also what makes it so special. I want the same for my daughter too. Every year on her birthday my husband and I write a letter to our daughter about our learning, our feelings and her as a person. I force my husband to write it out in his writing which is finally a part of her yearly birthday binder. This is our small way of keeping memory alive for her later. Keep a tiny notebook handy always just to note down whatever comes to your mind. I have my hobonichi techo A6 in my purse always just to draw, write, take down notes, absolutely anything. There are days in months which are left blank for sometime and then are days which fill up all the blank pages of the past. So the sum total works out fine for me. You will find a link to amazon here. Try a ” sentence a day”. It’s an interesting challenge. You can find the details here. I gave it a try some years ago and managed it well for almost 4 months, after which I started to slack. But hey! If you can do it for 365 days a year, it’s great start. 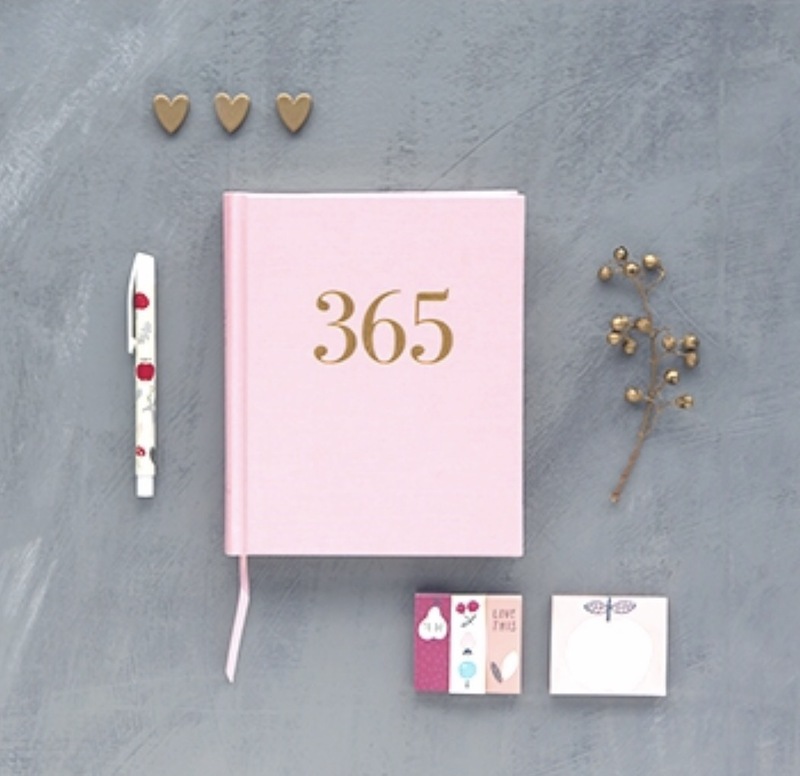 Kikki k has a version of a 365 journal that I used for this challenge. This link to notebook is here. Try out the new version of planner systems available today. They call themselves creative planners and you can use them in absolutely any way imaginable. Below is my creative planner. 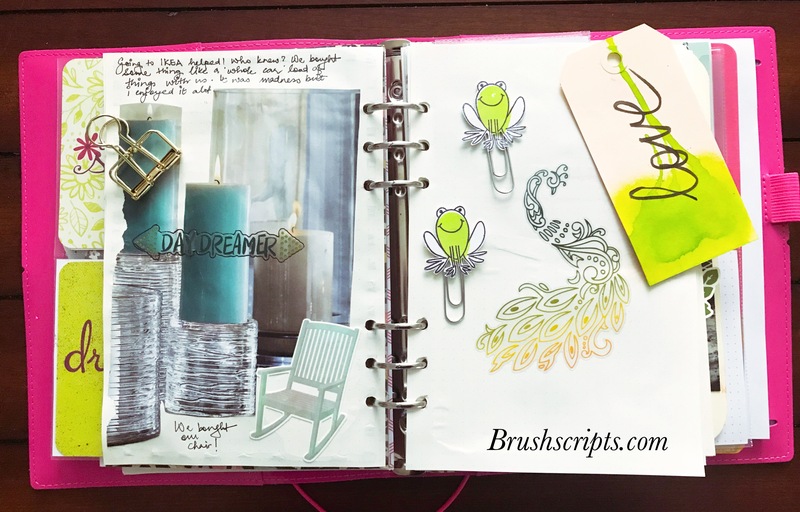 I use it part as a blog planner and part as a scrapbook and part for 30 day watercolor challenge. You can customize it to the way you prefer. I am using a carpe diem binder at the moment, but own several such binders. The link to amazon is here. But there are several companies selling similar binders like Kikki k.
Invest in a good fountain pen and buy a pack of cheap ball point pens pack. I own Safari Lamy, the link is here; which I use when I have idle time. On the go I prefer the blic ball points just because if I loose them I don’t have a heartache. Take time to write. There is no bigger satisfaction that flipping back pages of handwriting and reading your flow of thought in the years past. 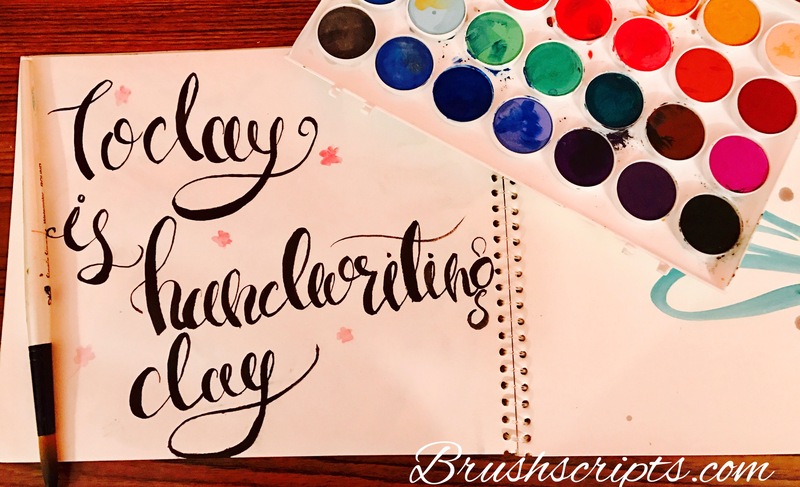 Love your handwriting just the way it is. It’s yours and very unique. Don’t try to ape someone else’s just because you like it better. It will impede your thought process. I hope I have inspired you to write something today or even start the sentence a day challenge on your own. I would love to see your handwritten note and would love to know how you keep your handwriting alive. 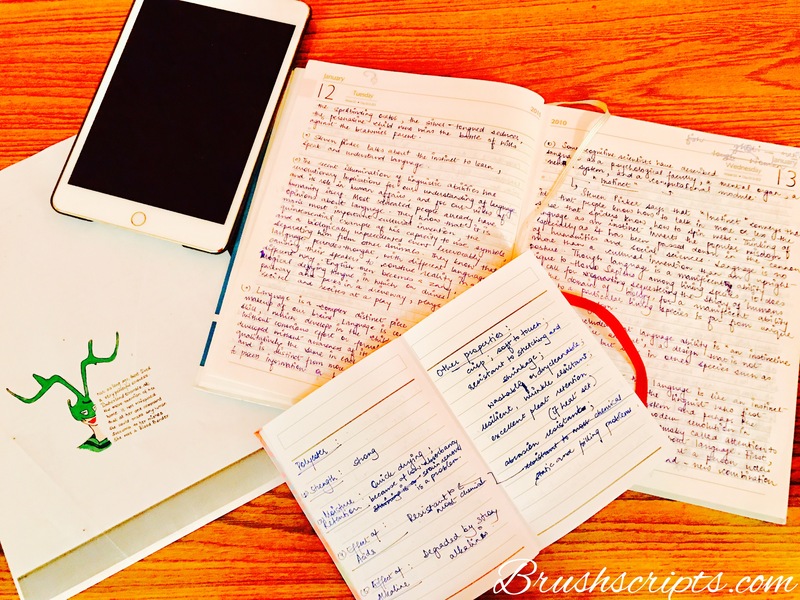 Please leave a comment on how you strive to write better? Thank you for stopping by. 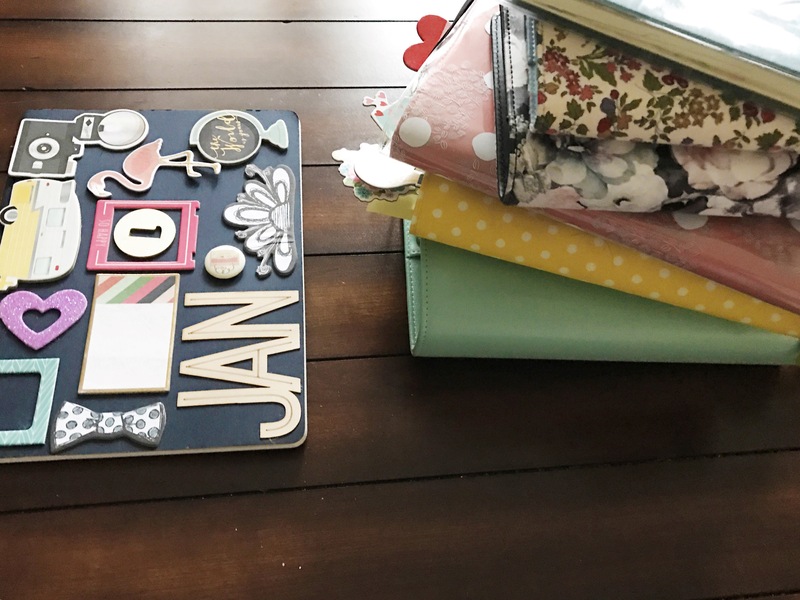 I hope you will join me for the next blog post on how I use multiple planners in 2017. Champagne flutes can be fun! When you don’t really drink champagne, but have sets and sets of flutes dedicated serious champagne drinkers, what do you do? After trying desperately to get rid of them; and superbly failing to do so (obviously, the husband intervened! ), I decided something needs to be done to emancipate their future. The happy occasion coincided with an impending visit from a set of cousins to whom it’s always good to show off your creativity. At least there is something they won’t be able to copy (evil laugh with drumroll!). 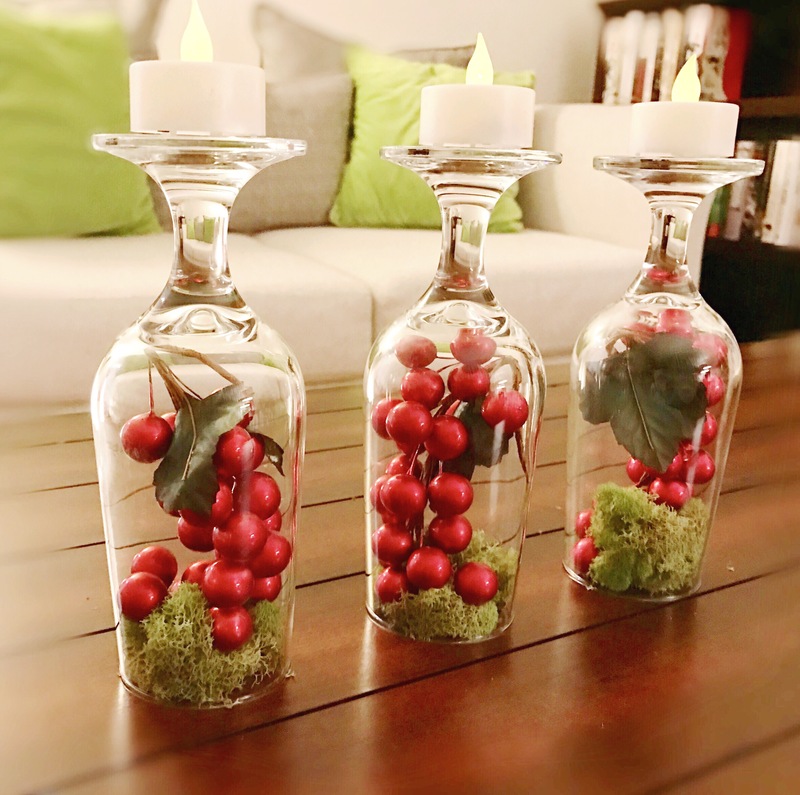 Now you can’t really change everything in the house around but a quick spruce up before the guests arrive; well that is easy. And you know what is easier? 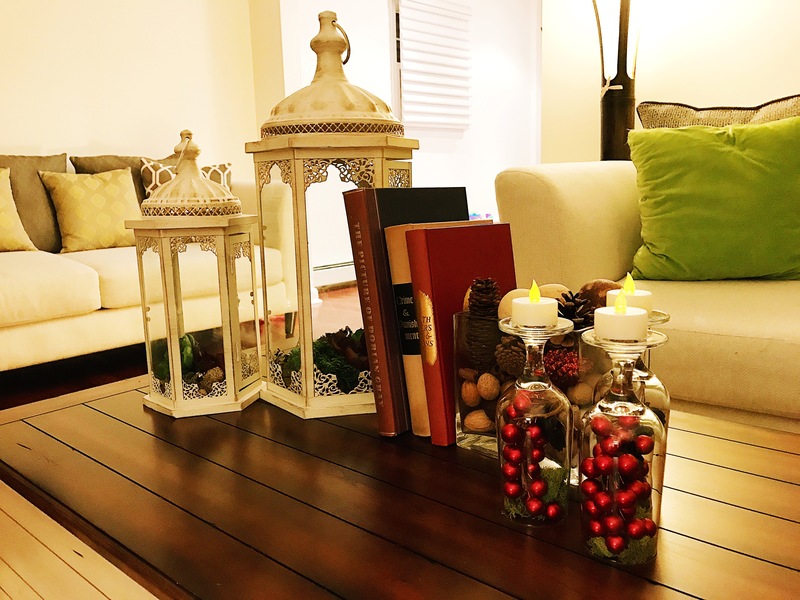 A simple reconstruction on the center table which looks like a million bucks. I invested not more than 5 minutes on this project, but I did receive multiple wows which made me grin from side to side. Now what can be better than that! 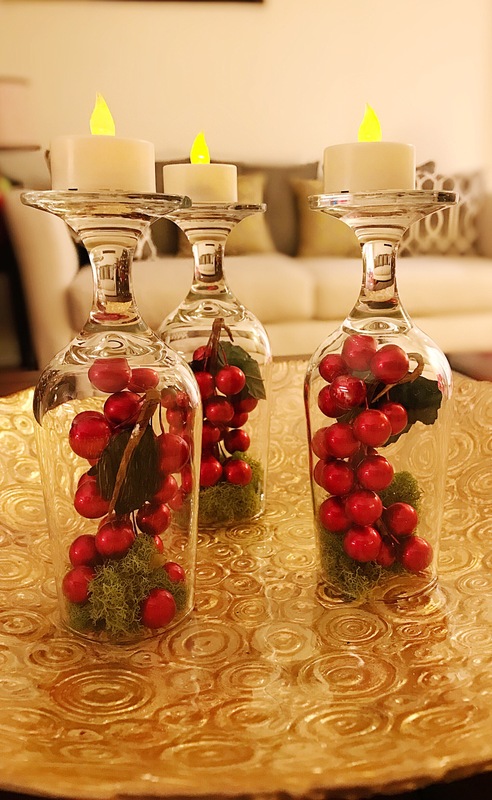 With the help of my trusty champagne flutes, I filled them with holly boughs and fake moss. 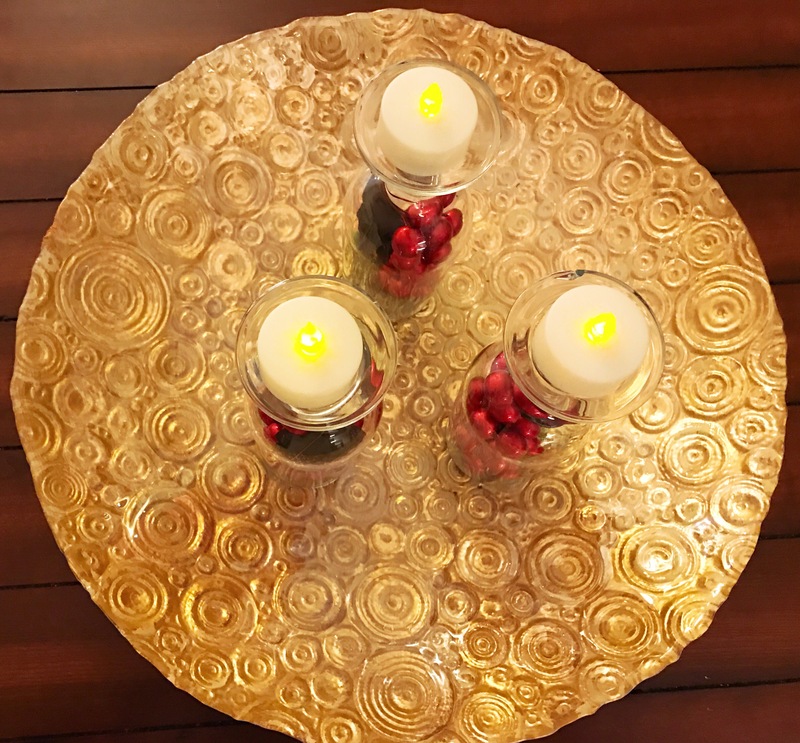 Turned them upside down and I used the base to support a flameless candle. 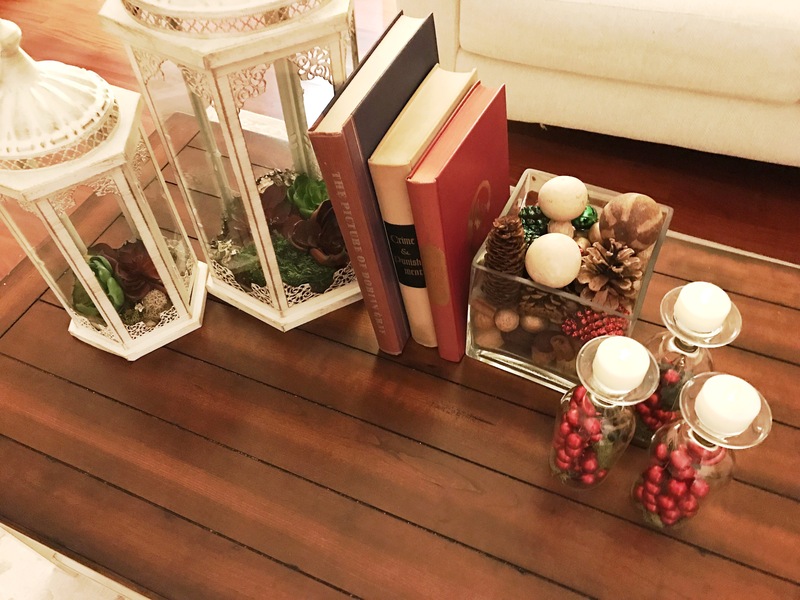 Styling them with books and greens to accentuate the holiday effect turned into an easy and quick project, but looked like million bucks. I was convinced that over the top look was the best way to go, when later I discovered the minimalist look around the same flute. To this I have grown accustomed to and shall be very sad to remove them when I take down the holiday gear. Hope you will give it your own twist and try it out at your own homes. Do tell me which look you prefer? The extravagant romantic look or the modern minimalist look.